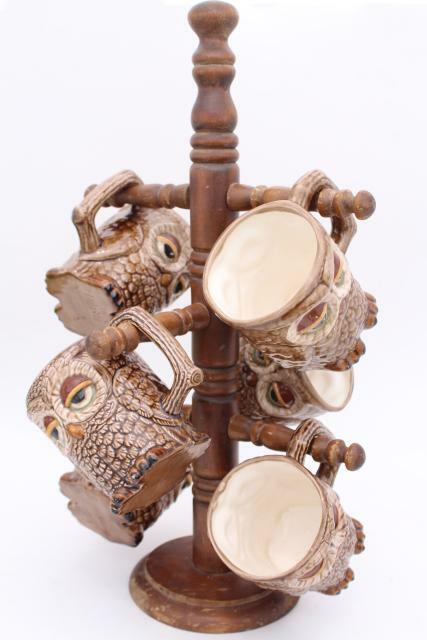 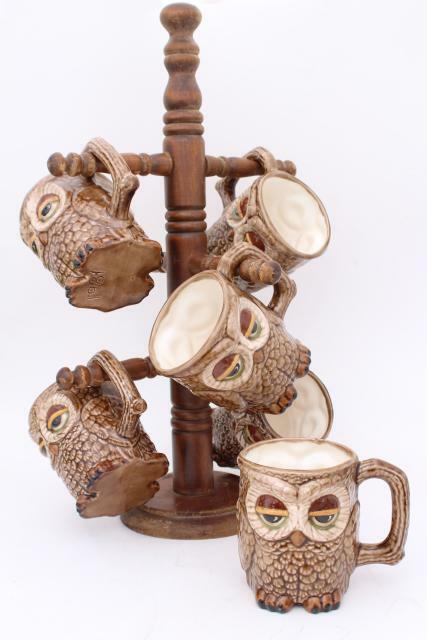 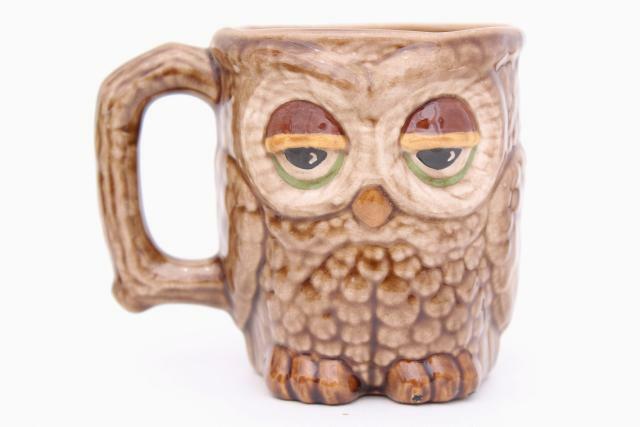 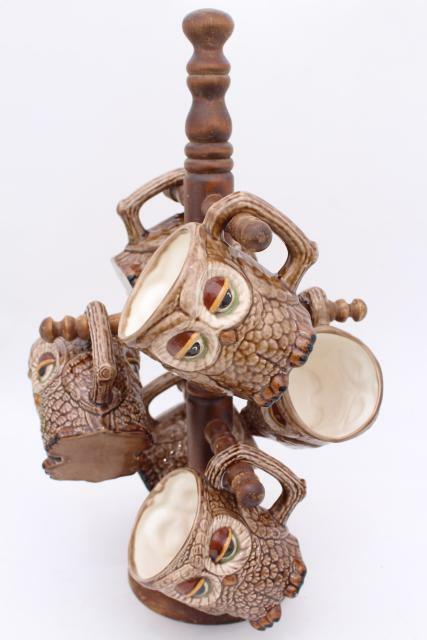 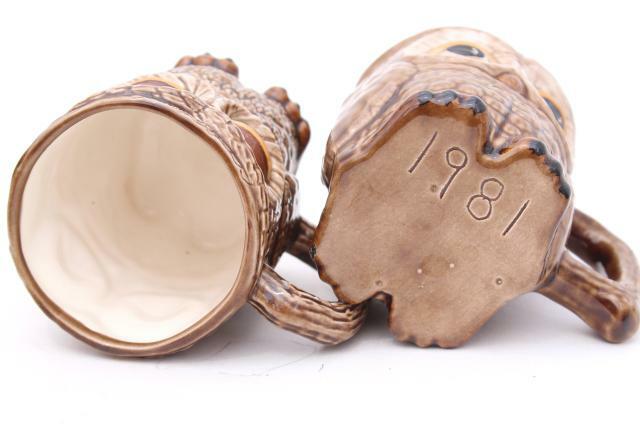 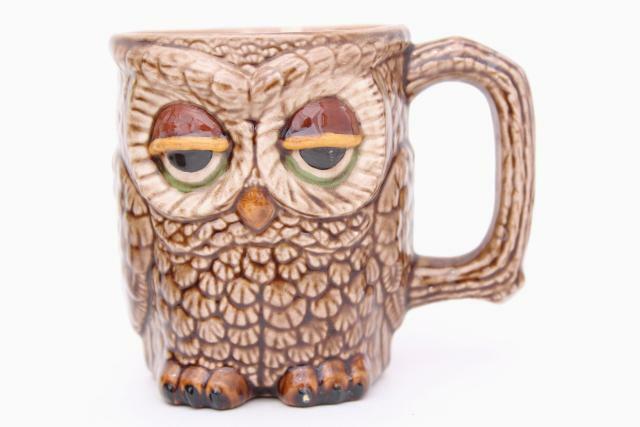 Retro wood mug tree and family of six ceramic owl mugs, dated 1981. 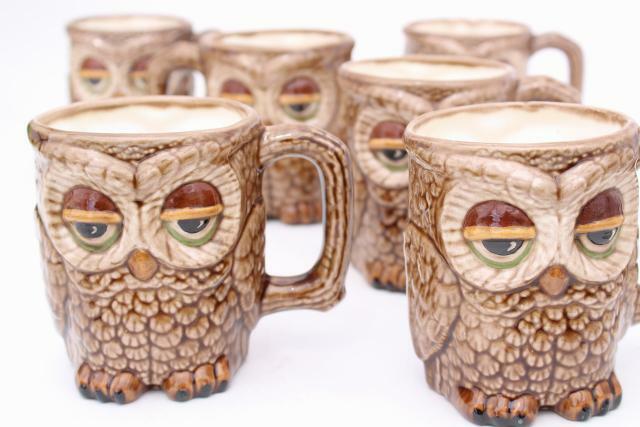 These mugs are handmade ceramic, I have no idea if these are microwave safe! 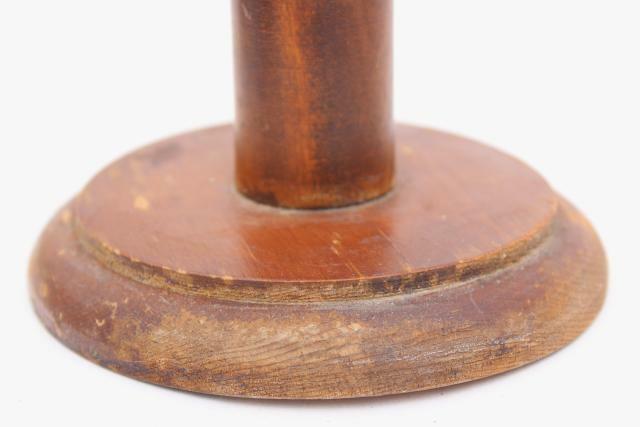 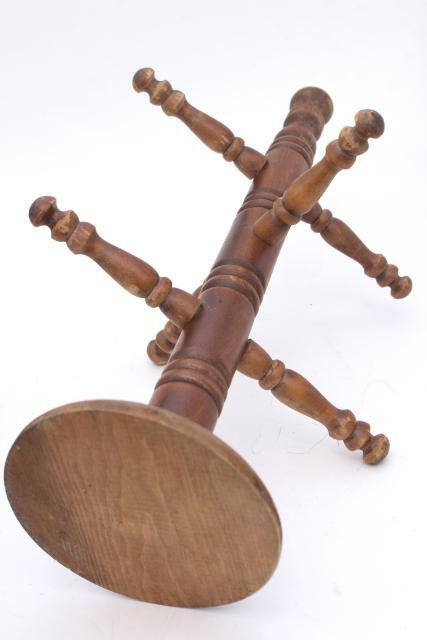 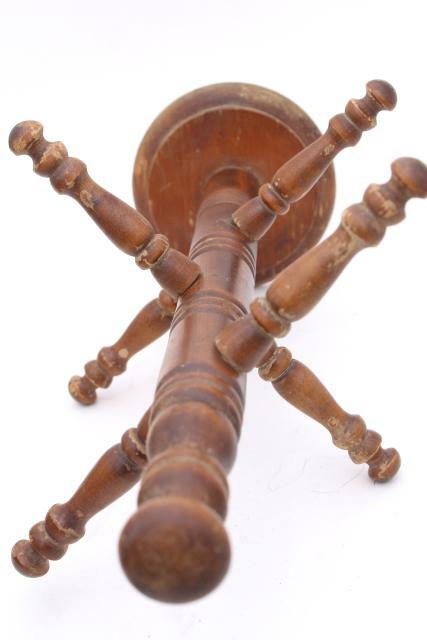 The wood rack stands about 16 1/2" tall, and shows finish wear from use. 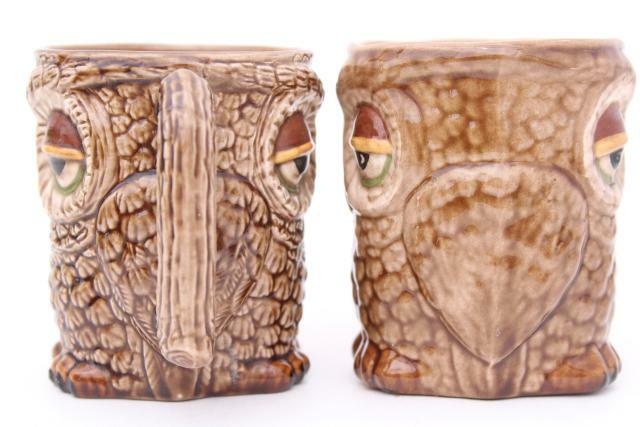 The owls are about 3 3/4" tall, and are all in good condition.